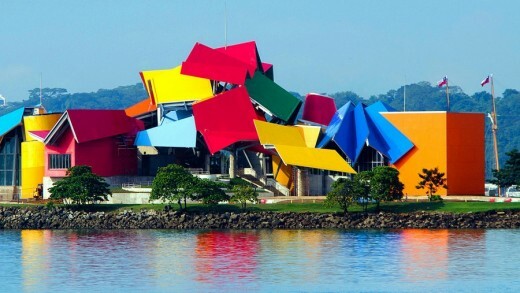 The Biodiversity Museum: Panama Bridge of Life is located on the Amador Causeway in Panama City, Panama. 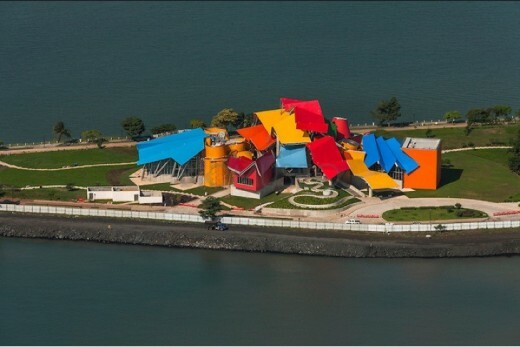 It was designed by architect Frank Gehry, his first design for Latin America. 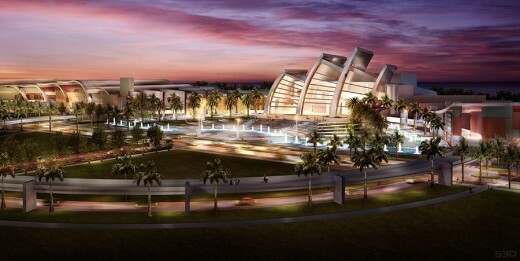 The design was conceived in 1999 and the museum opened in October 2014. 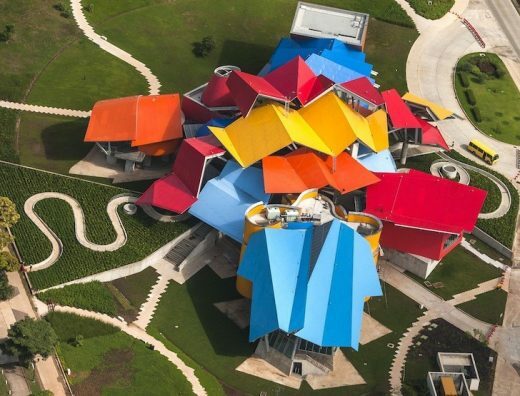 In 2004 it was announced that Frank Gehry, whose wife is Panamanian, would donate his design to the people of Panama. 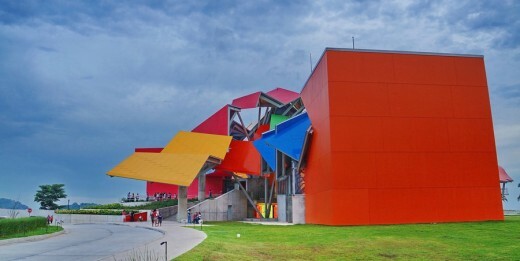 Construction of this vibrantly-colored building began in late 2004 with a $60m budget and was scheduled to end in 2011. Setbacks pushed the completion date mid-2012. 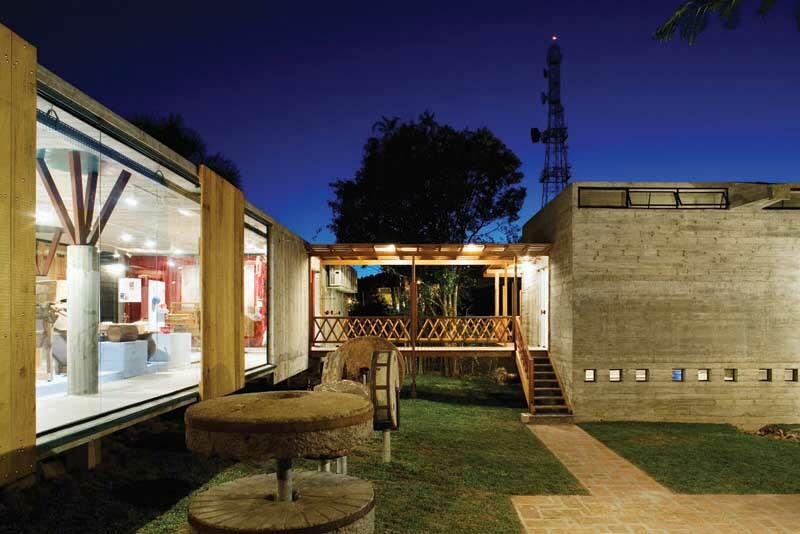 Construction required new techniques due to the radical shapes, angles and materials needed, none of which had been employed previously in Panama. 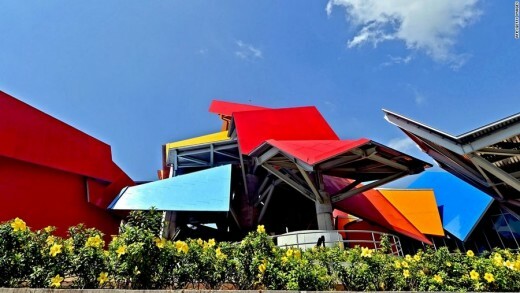 Construction funding came from over 100 local organisations who in conjunction with the Panamanian government were able to raise the funds to finish the project. The site was at the end of the Causeway facing the Pacific Ocean at the entrance of the Panama Canal. 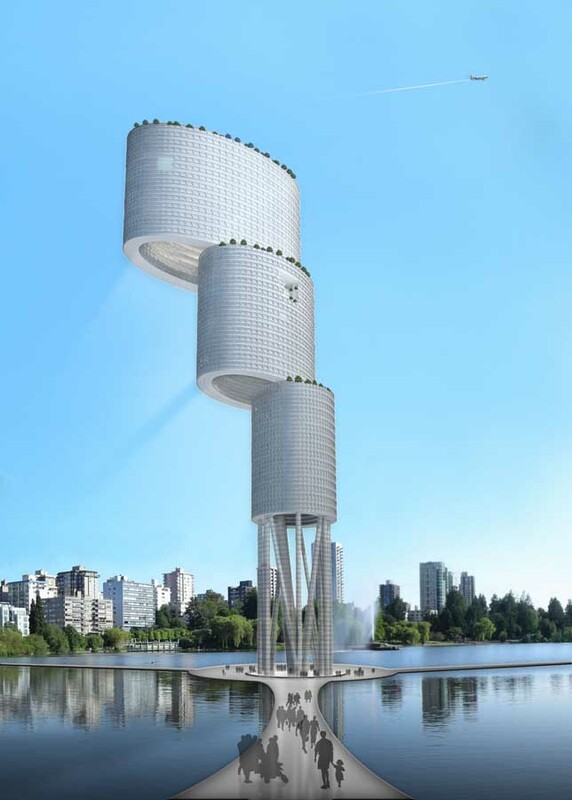 This produces panoramic views of the ocean and cargo ships entering the canal. 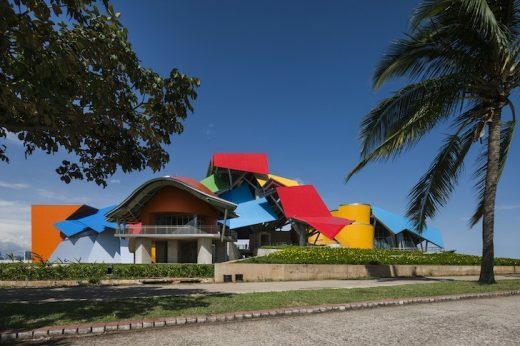 The Biodiversity Museum building silhouette is the usual unusual Frank Gehry design, however unlike most of his designs, each panel is painted a different bright colour. The reasoning for the bright colors is reportedly expression of the tropical location. 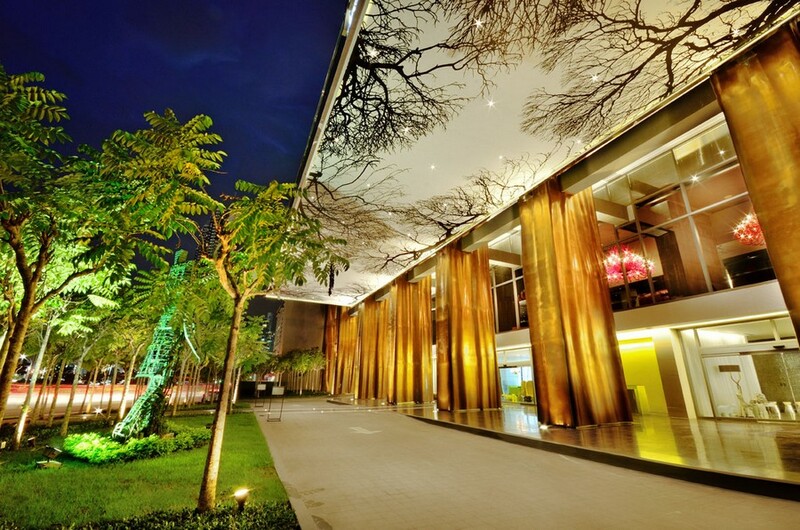 The museum finally opened in October 2014. 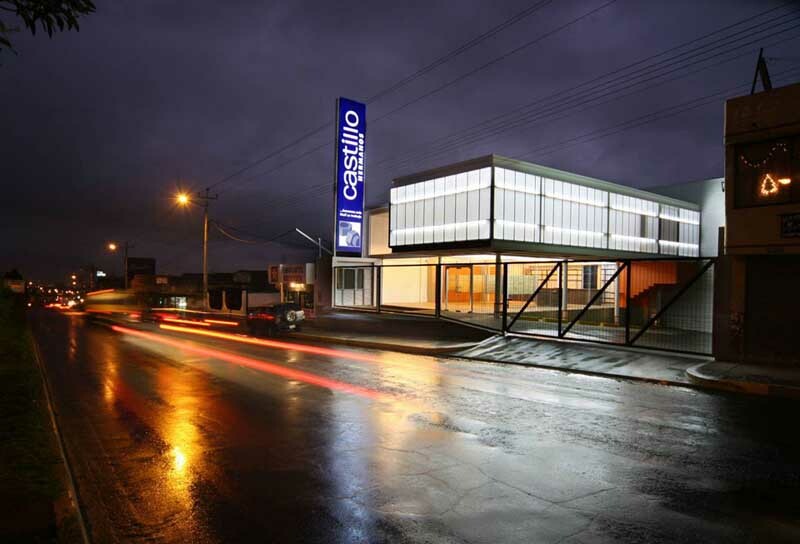 The building will contain eight exhibitions that will mainly revolve around the idea of Panama’s biodiversity. 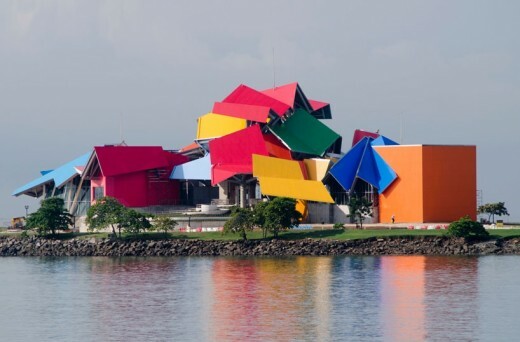 These exhibitions will be mainly led by the Smithsonian Institution and the University of Panama. 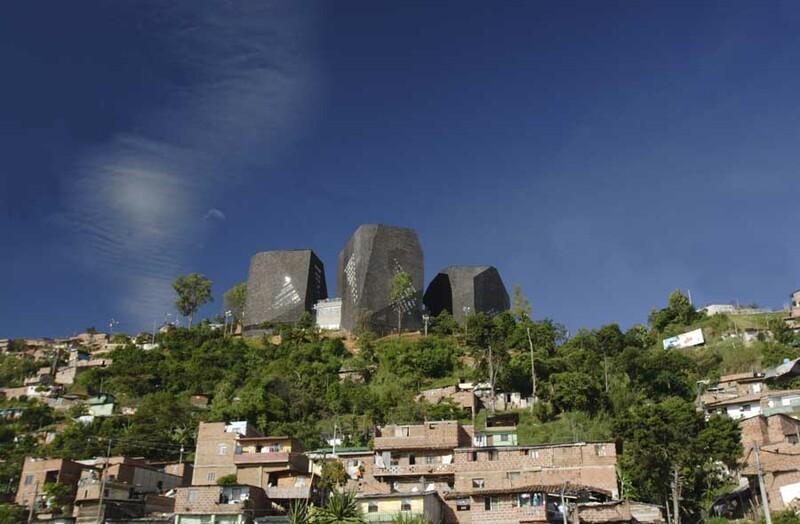 The Biomuseo will also host small events such as concerts, private events and expositions. 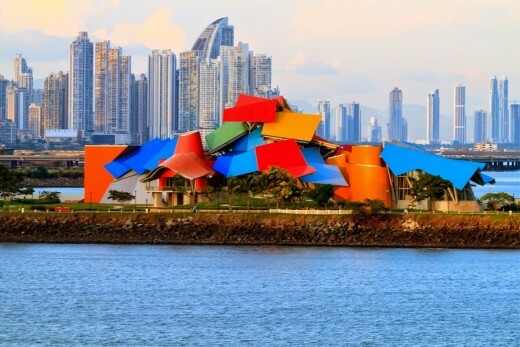 The Frank Gehry design is expected to attract tourists and help grow Panama’s cultural attractions just like his wolrd-famous Bilbao Museum for Guggenheim.